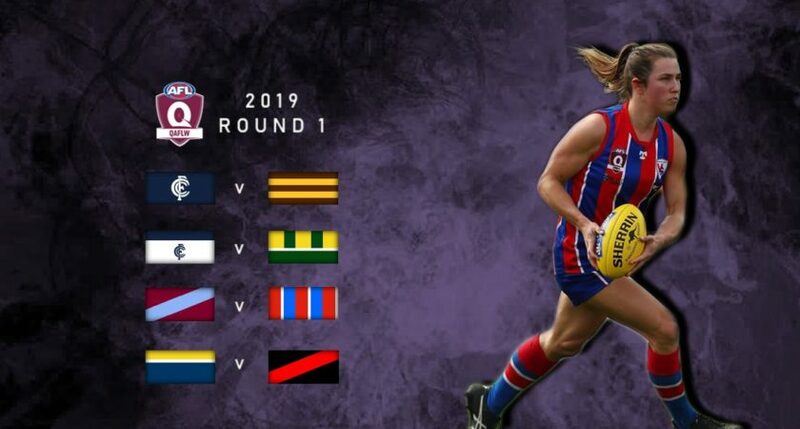 University of Queensland will have the first opportunity to usurp Wilston Grange from their throne in 2019 after the Round 1 fixture for the Queensland Australian Football League Women’s (QAFLW) season was announced today. University of Queensland was the only team to defeat Wilston Grange during its dominant 2018 season and the two sides will resume hostilities at UQ Oval 5 in the opening round of 2019. The Brisbane derby headlines the four-game Round 1 fixture which includes games in both Brisbane and Gold Coast on April 6. AFL Queensland Women’s Competition Manager, Joanna Main, was pleased by the opening slate of games. “The new season is always an exciting time for players and clubs and there’s plenty on offer across the weekend for fans,” she said. “University of Queensland showed what it takes to defeat Wilston Grange last season so there is plenty to play for between those two clubs. Elsewhere across Round 1, 2018 Grand Finalists Coorparoo will host the newly-promoted Aspley Hornets at Giffin Park in what will be the latter’s debut in the QAFLW following their QFAW Division 1 Premiership last season. Aspley’s debut will mark the third consecutive season a side has been promoted to the state’s premier female competition, following Bond University in 2018 and Maroochydore in 2017. A revamped Maroochydore team will head down the M1 on opening weekend to face Coolangatta at Corpsure Oval in what will be a litmus test for the green and gold. After winning just the solitary game throughout 2018, the Roos were among the busiest teams across the offseason, recruiting some of Queensland’s most promising young talent. Among their inclusions are 2018 Premiership player, Isabelle Dawes, and QFAW Division 1 Best and Fairest Winner, Lily Postlethewaite. Bond University and Yeronga South Brisbane’s showdown on the Gold Coast will officially herald the start of a new season as the first game of the year. Both the Bullsharks and Devils welcome new coaches this season and now have the perfect opportunity to begin their coaching tenures with a win. The full 2019 QAFLW Fixture will be released later this week.